A variety of artists from around the country feature pop up shops on the southeast green in Hudson. 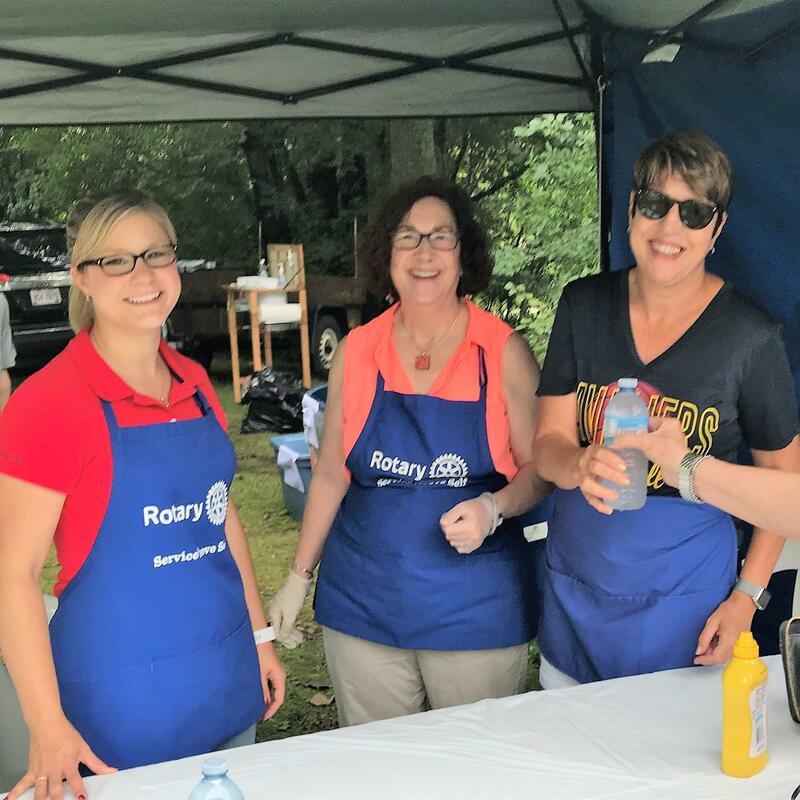 We operate a hot dog and bratwurst stand with the proceeds benefiting our Hudson Rotary Foundation. 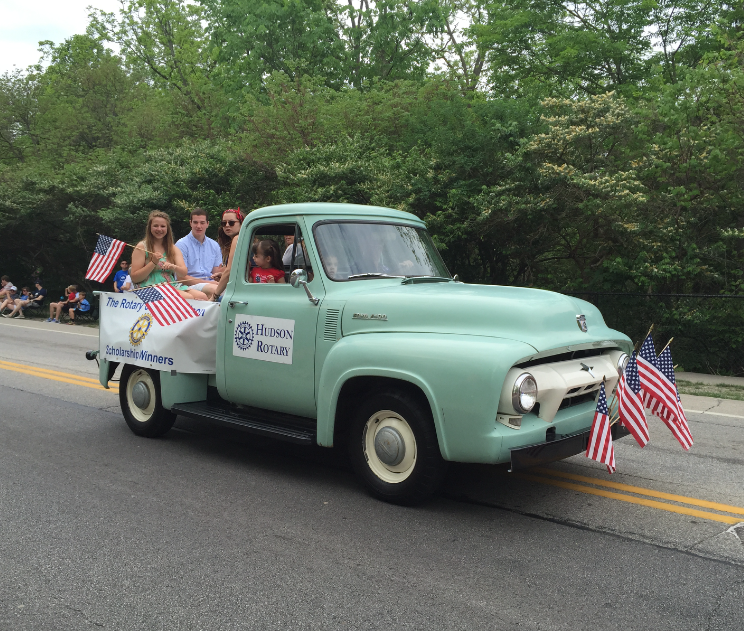 The annual American Legion Family Memorial Day Parade marches through downtown Hudson (from Milford Rd. to Markillie Cemetary). Our Club is proud to participate & honor our local college scholarship winners each year. 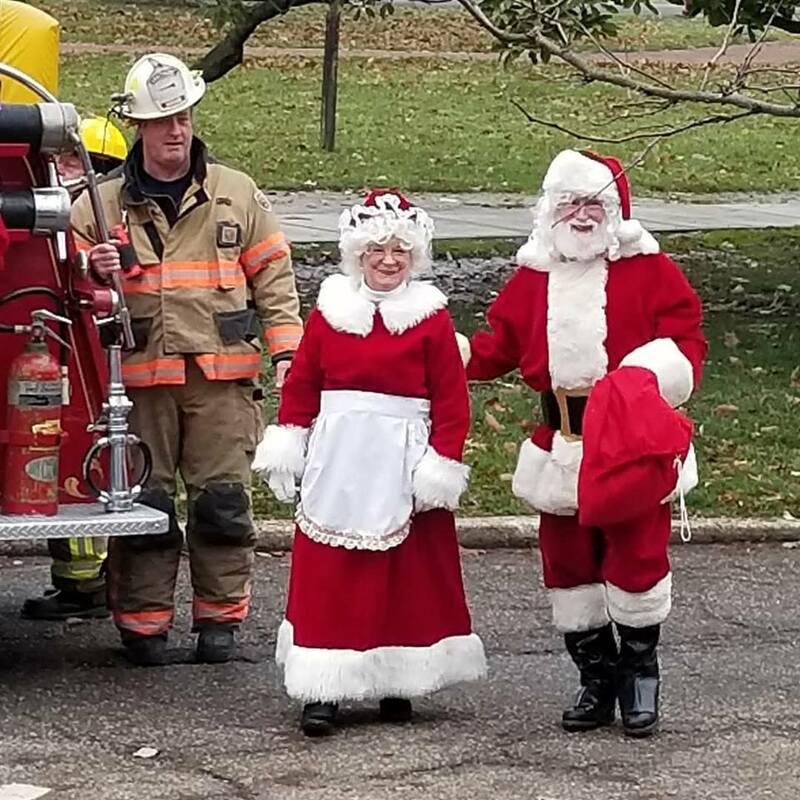 For over 45 years, Hudson has welcomed Santa and Mrs. Clause to town to celebrate the holiday season. Last year more than 125 families shared a special moment with the Clause's. Hot chocolate and candy canes for all! ​Live alone? - Hudson resident? - Senior Citizen? The Hudson RUOK? Program is a free service that establishes a prearranged time for participants to receive a regular phone call from a trained volunteer inquiring about their well-being. If a concern is expressed, the volunteer caller will determine the nature of the concern and if some sort of response is necessary. Unanswered calls are called again per an established protocol. If there is still no answer, the volunteer may request that an officer be dispatched to the location for a safety check. Every wellness check gives peace of mind, not only to applicants, but to family members and friends. A designated emergency contact (family member, friend, or neighbor) may also be contacted if the call goes unanswered for a short period of time. ​While this program is provided to seniors in Hudson, it does not take the place of emergency services. In the event of an emergency, please dial 9-1-1. Applications are available by contacting Cindy Murphy at Hudson EMS, 330-342-1852, Monday through Friday 8 a.m. to 4 p.m.